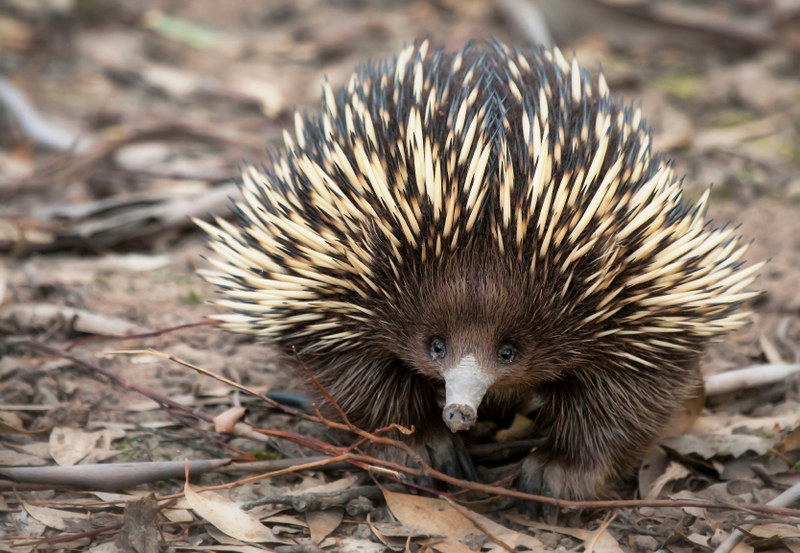 Ends of the Girth: An Echidna Says What? My plan for the day was to go to Melbourne, then catch the ferry to Tasmania. More exotic words have never been uttered by this excited traveller. 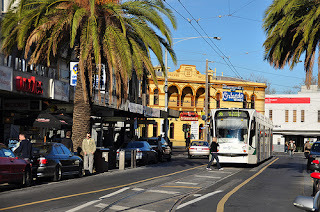 I boarded the bus from Dunkeld nice and early, to arrive in groovy Melbourne in plenty of time to get the feel of the place. 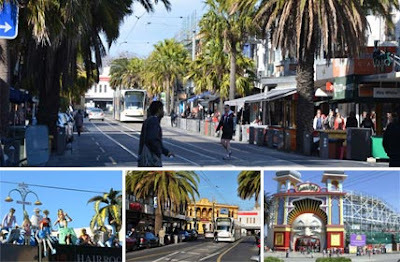 This city immediately struck me as ace, and i haven't even made it to St Kilda yet - the epicentre of Aussie hipsterdom. People seemed so much friendlier than in Sydney for some reason. Relaxed, smiling and welcoming, less erm wary and short on the ol' fuse. 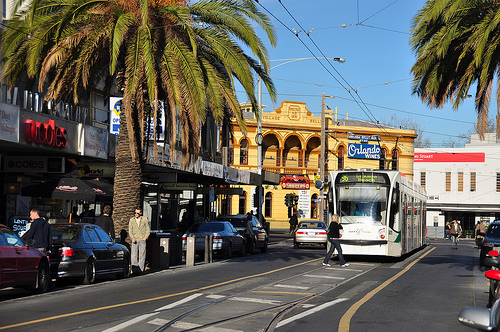 But I only had a few hours to sample that sweet Melbourne nectar, and was going to try and gulp in as much as possible. To start off, I explored Chinatown - as is my habit - and Flinders Street which runs along the Yarra river, and was delighted to find everywhere I went many a sushi kiosk, selling decent grade, fresh yet affordable varieties. Sushi, a favourite delicacy of mine, tends to be on the pricy side in most big cities, even and especially in Japan, I'm told. 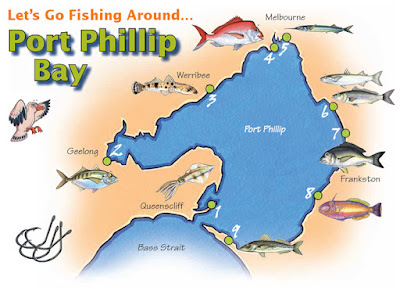 But here, on the Port Phillip Bay, off the Tasman Sea and the South Pacific Ocean, fresh seafood is in abundance. On top of which, Australia's relative proximity to South East Asia, guarantees a myriad of authentic cuisines from that region of the world. Lucky me! I allowed myself a small indulgence in the shape of a temaki roll, and roamed the streets, avoiding near death by passing trams and skateboarding daredevils. 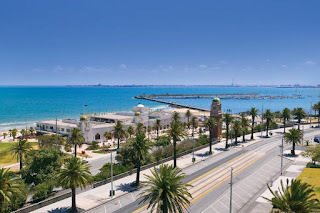 St Kilda I was pretty much sworn into visiting by a Melbourne friend, at the time UK based and endlessly homesick. She cajoled me with stories of how gloriously cool it is, before making me take a blood oath I would not neglect to visit it, her eyes weepy and her lips quivering in imploration. 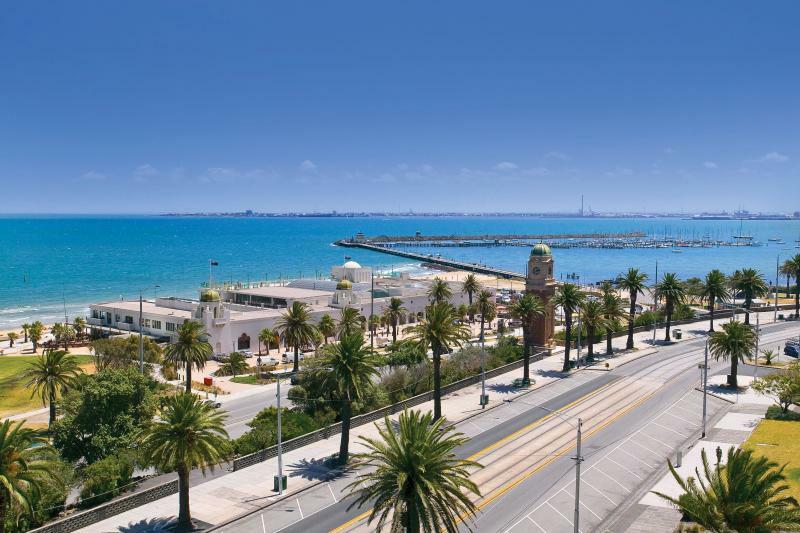 And in all, St Kilda does pretty much encapsulate the spirit of beach life, together with a good dose of bohemian chic and young fusion gastro artistry, enhanced by the multi-cultural demographic. But as it stood that long day, I knew I had insufficient resources to indulge in an appropriate amount of exploration. Walking along the shore, I stopped for some pricey but scrumptious mussels with a lovely beer at one of the seafront eateries. The weather wasn't quite sunny, as the season was, in fact, autumn, but nonetheless the beach was full of very active people, at ease in stylish swimwear and taking part in much sport, more often than not at the same time. I felt overdressed in my combats and hiking boots. As the sun began to set, I made my way to the harbour, to locate and board The Spirit of Tasmania ferry, having taken a precautionary Dramamine, as I am a sea-sickness coward. I then ceremoniously took my place on deck, to be met by a surprisingly cutting Antarctic wind, as we regally sailed off the southern shores. I was intently watching the water for any signs of dolphins or whales, having been reliably informed that the beasts are everywhere. Not a worry, I was told - you cannot encounter a puddle-sized body of water without witnessing a frolicking dolphin or a magnificent whale dive-bombing by way of a friendly hello at the very least, is what people have told me. Just try and avoid them, see if you can. Harass you, they will. By the end of your trip, you'll be intimately acquainted with the majority of sea-life, and bored to tears with the whole thing. You'll be sick of the sight of these cetaceans. Those people, I came to realise as months passed devoid of sea mammals, were the same ones telling tales of snakes at every turn - they are clearly vicious and deliberate liars, and should be disciplined for their wildly exaggerated fibs. By the time the sun had completely gone down i'd snapped quite a few obligatory sunset photos with my numb icy fingers, hoping to capture a rogue flipper or spraying blowhole, until eventually forced to admit defeat and seek shelter below deck. With the Dramamine beginning to take effect, at the end of this long day, I yearned for sleep. Exploring the ferry's potential hidden alcoves, I stumbled a disused cinema - disused for its original purpose, that is, although at full capacity as a makeshift dormitory, crammed with already snoozing passengers. Here I managed to get a few hours' rest, albeit sitting up against the wall, after an attempt to lie down was foiled by a sadistic crew member who was clearly hired specifically to walk into various parts of the ferry at 4am and wake everyone up, pointing out we're blocking the paths to the fire exits. Cue sleepy irritable people shuffling back up into their seats until he'd gone, then slump back onto the floor again. Woke up in time for sun rising over the Devonport shoreline, feeling groggy but thrilled. 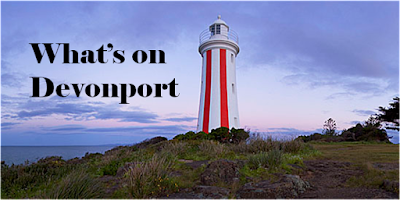 Determined to ignore the heavy scattering of used sick bags decorating the main hall, some successfully, some less so, I purchased a reviving hot chocolate and went up on deck wrapped in a blanket, to enjoy the nearing Tasmanian shore. I'd heard Devonport, where we were to disembark, is a drearily boring town, but having been to Hamilton, this one seemed in comparison pastorally quaint and full of character from a distance, and I was optimistic. Alas, upon disembarkation, my distorted perspective was made clear, as I found myself in what is supposed to be one of the two biggest cities in Tassie, currently numbering myself, three people in the process of putting up some kind of podium and chairs in the middle of the pedestrianised high street, and several excitable gulls. My next Wwoofing host, Susan, I was already intuitively apprehensive about, as our phone interaction to agree the details of my visit was awkward, bordering on odd. We'd arranged to meet at the ferry harbour, but there was no sign of her. I rang her from a rogue phone booth, and she answered. Bad sign - shouldn't she already be well on the way? No, she was just about to get in the shower. 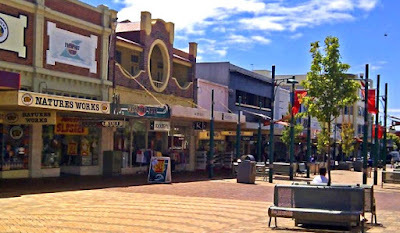 I should go into town for now, she counselled helpfully, and meet her by a travel shop called the Backpackers Barn. This sort of miscommunication did not bode well for my stay, but for the time being I put these concerns out of mind and went in search of said shop. Devonport being the one-gull-town it clearly was, i found the place easily enough. There was really nothing else to do but idly hang around, as this was early morning and there was a distinct absence of living souls, and everything still shut. Luckily, one of the shops had opened to sell the early edition of the local daily rag. Here I found the friendliest man in Tasmania, who wore my suspicious defences down by cheerfully reassuring me I can leave my rucksack at the back of his store while I explore the high street, a venture which took a whole of five minutes, generously put. I trundled back to the store, which also offered souvenirs and knickknacks for sale, and was allowed to browse for an inordinate amount of time. The tolerant shopkeeper kept me entertained with cheery conversation, whilst i mooched around, picking things up then putting them down, enquiring about items we both knew i wasn't intending to buy, passing the time until Susan turns up. She descended, cyclonically, attired in a dangerously flammable polyester orange pantsuit ensemble, tastefully paired with an olive and white shirt, which I later discovered were her Sunday best, saved for special occasions. Truly a vision which would remain burned in my memory for years to come. Her sputtering van was held together with rope, and adorned with a 'Save Tassie farms - The Greens' sticker on the windscreen. She then informed me we were to stop en route and hang up some of her artwork at the local dentists' office. A hobbyist artist to boot, I thought - oh dear God no. Indeed, her photography consisted of your bog-standard hallucinogen enthusiast adolescent and their first Nikon fare, i.e. nature landscapes with semi-psychedelic themes - but lacking the originality. Lots of ferns and dragonflies in mirror image prints. As for her paintings... well. Those were not good. To her credit, she'd been doggedly at it her whole life, there was conviction and passion there. To top it all off, she had recently taken up a glasswork course at the local college, producing her best and most vaguely interesting work - glass panes with leaf inserts and Japanese calligraphy citing warnings for humanity against harming the environment. She was certainly consistent with her agenda. 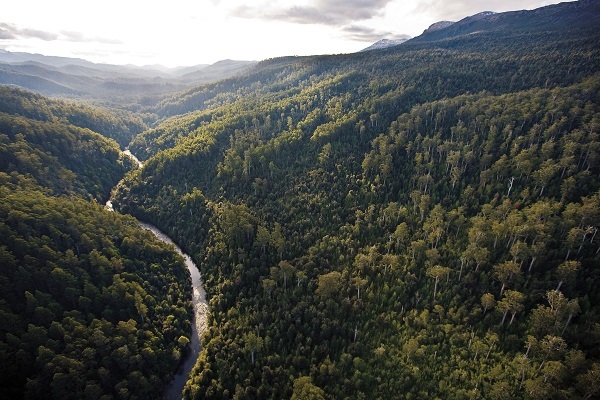 We drove on through lush rainforests, which Susan explained were fast diminishing due to over deforestation, the by-product of a disproportionately developed logging and mining industry on this small wild island. Economical diversity was thin on the ground with hardly any other industries flourishing, and many desperate farmers were forced to join in or be bought out. There is growing activism, she explained, campaigning to stop and reverse the process, but money speaks and so far not much headway has been made. The sad truth was that the incredible and extremely rare regional plant and wildlife were under serious threat by all this. The echidna, unfortunately, did not make it in spite of Susan's best efforts, joining the great roadkill gang in the sky. And I didn't remain with Susan very long either.